Being a parent can be tough, especially when your child is sick. It can be hard to watch your child suffer from an illness or injury. You’ve probably even wished you had the magical ability to instantly make them feel better. The good news is you don’t have to be a magician to help your child recover from an illness. FastMed Urgent Care can treat your child and have him or her on the road to recovery in no time! Our staff is trained in adult and pediatric urgent care, and we are dedicated to taking care of your child with the same compassion as you would. 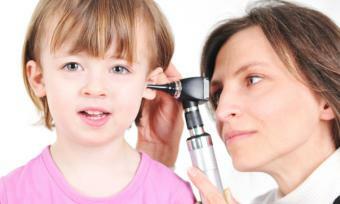 FastMed has pediatric urgent care clinics in North Carolina and Arizona. If your child is suffering from a non-life-threatening illness or injury, come to FastMed. We are faster, more convenient, and more affordable than a hospital’s emergency room. FastMed takes most major insurance plans and major credit cards. If you do not have insurance, you may qualify for our discount program. FastMed is open 7 days a week, 365 days a year. If your child is sick, there is no need to set up an appointment–just stop by! “I rushed in your doors at closing time with my daughter. She had quite a gash that needed medical treatment with multiple stitches. You did an excellent job and her wound and stitches have healed beautifully! – Linda S.